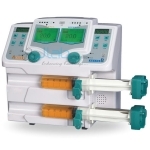 Jlab is renowned Syringe Pump Manufacturer, Syringe Pump Suppliers, Syringe Pump Exporter, Hospital Surgical Equipments, Syringe Pump India. 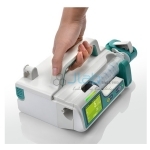 We are one in every of the foremost outstanding names within the business for mercantilism and activity of the most effective quality range of medical equipments and machines like Syringe Pump. These pumps are manufactured using premium quality of staple that ensures dependability. we have a tendency to procure these pumps directly from the trusted vendors of the industry that assures our clients with better quality. Freely stackable: Anyone freely stack one onto another to provide multiple solutions. Combination solutions that have a wide range of clinical applications.